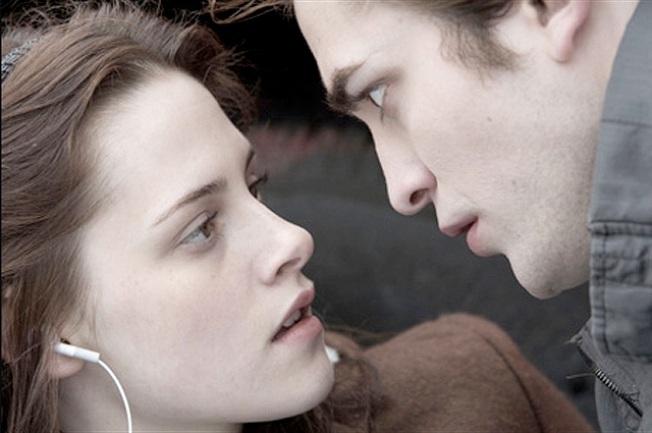 Edward Cullen moves in to take a bite out of Bella Swan. In case you weren't yet aware, the film version of the first novel in Stephenie Meyer's Twilight series--about normal teen Bella Swan and the Adonis-like vampire Edward who wants to date (and eat) her--opens Friday. Fans, who call themselves "Twihards," have been rioting in the streets to see their idols brought to life (apparently 1,100 showings this weekend have already sold out). Catherine Hardwicke, director of teen-centric flicks Lords of Dogtown and Thirteen, helmed the film, and she spoke to Vulture about the movie's special effects and curbing her own vampiric tendencies. Considering you were supposed to be casting the most perfect guy in the world, did the casting process make you nervous? We definitely checked out all the fan suggestions to see if they were still the right age, or if they were good, or available, or on another show or something. But none of them really worked out, so that's why we kind of found Kristen [Stewart] and Rob [Pattinson]. And, yes, there was a backlash at first, but most people have embraced them, I think. A main theme of the story is about the tension between the main characters; how do you cast for that? Well, you nailed it: You do not cast two people separately and then hope that they work. We first had Kristen, because I fell madly in love with her in Into the Wild. I thought she was amazing and so expressive of that longing and that desire. So we had Kristen, and then we kind of narrowed the guys down to like our semi-finals, and at that point, everybody came over to my house and Kristen and I would work on three different scenes with each of the guys, and with Robert it was abundantly apparent that they had sexual chemistry. It was like the first moment they met, you could just feel it. Which scenes were they enacting? We did the biology scene in my kitchen. Then we did the meadow scene in the back. Then we did the kissing scene in the bedroom on my bed. Yeah, four cute guys. I would hate that! You've done a couple of other teenage films as well. Do you feel like you're in touch with your inner high schooler? Or I'm just immature. I'm not sure. I try to learn on each project, try to really feel what the characters are feeling. On Thirteen, Nikki [Reed] and her friends would stay over here and have slumber parties, and we'd go surfing and go to museums and run all around. We had a lot of bonding experiences. In the Twilight books there's very little in the way of action. How are you going to make it interesting for guys when their girlfriends drag them to see it? Well, there is a vampire baseball game in the book. Some action and fast cars and all that, but there is the one big fight at the end in the ballet studio. Stephenie [Meyer] kind of just cuts away from it because Bella is in this venom haze. So when I read it I'm like, Oh, no, no, I have got to see that fight, and I want to see how two vampires go at it when they have such high stakes. And myself and the stunt coordinator, we acted out all these scenes so many times, wrestling each other to the ground, how would you try to pull the limb apart, coming up with cool stuff. I don't like to watch a movie where it's just kind of like all one note, dee-dee-dee-dee. I want spikes of adrenaline and highs and lows, and exciting tension release. The baseball game, they're running incredibly fast, jumping higher than trees. That was the fun part for me. Right away I had an image, imagine two of the guys, [the characters] Emmett and Edward, both just really competitive and running for a ball, and leaping as high as they could in the air and crashing into each other, and the thunderous crash and there's a bolt of lightning going right in the background. Then, how do you do that? So you have really cool kind of wire rigs, and Andy Cheng, our set coordinator, came up with this cool idea of having this magic carpet that when people walk on it, it would, like, double their speed. How did you approach the sparkling vampire effect? That was a big challenge. We ended up going with Industrial Light and Magic. They have obviously great artists. But even then it was difficult because the book is contradictory; it says encrusted with diamonds, which kind of made it look like somebody's face was encrusted with diamonds, like a bad skin condition. And then the book also says his skin's as smooth as marble, so you're like, "Oh my God, marble and diamonds have completely different qualities." I think we finally got something that's quite beautiful and similar to what it feels like in the book, but it was a challenge. There are three more books after this. Are you contemplating sequels? Of course it's on everyone's mind; you know the second book, and then the third and the fourth are actually way more expensive than the first one. You've got the werewolf effects, they go to Italy, you've got motorcycles, you need more characters and everything. So I think that we kind of calculated that this one would have to do phenomenally well to be able to afford the next one, so we won't really know that for a couple weeks. Apparently girls have been asking Robert Pattinson to bite them? Oh yeah, that was in New York. He didn't bite her, but actually when we were in Madrid, the reporters were asking Cam [Gigandet] and I to bite him. I don't know why, I just went ahead and did it. I was like, "Oh my God, I better learn how to hold back."